We are proud to present the Rx Savings Program. Simply present the prescription card at a participating pharmacy and save on many of your prescription drugs. You, your family and friends may use the savings card any time you purchase prescription drugs that are not covered by insurance. Finding a pharmacy is easy: 8 out of 10 pharmacies nationwide accept your savings card. Up to 65% savings on generic medications with overall average savings of 40% across brand and generic medications combined! 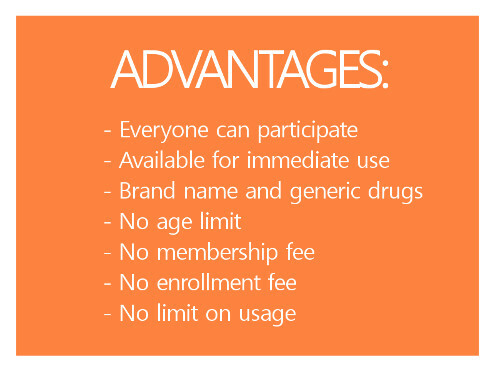 With the Prescription Drug Card, you will always receive the price that is lowest, whether it is the contracted price or the pharmacy’s cash price, for generic and brand prescription medications at over 60,000 pharmacies, including all major chains. There is also a convenient option for home and office delivery, visit www.orchardrx.com or call (866) 909-5170 for more information. higher costs. This is not insurance. Discounts are available only at participating pharmacies.